What if I claimed one of these heels was five times more expensive than the other, would you believe me? As mentioned earlier, Mary Janes are a great way to spice up your shoe collection and are very versatile. But you don't need to splurge to get the look. 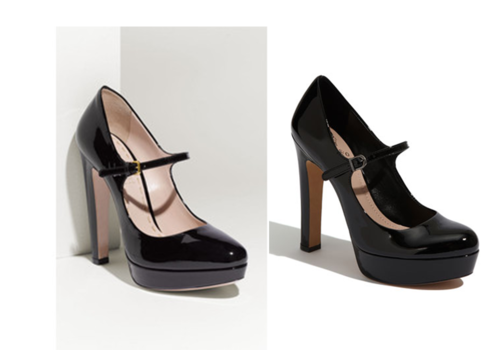 A couple of minor differences separate the two heels below but one huge difference stands out: The pair on the right is by Vince Camuto and at $119, is 1/5 the price of the almost identical Miu Miu's at the left! Steal? I think so.